My Kind Of Introduction: The Scholastic Store - Our Favorite Book Series: Magic Tree House, Rainbow Magic, Dork Diaries + MORE! 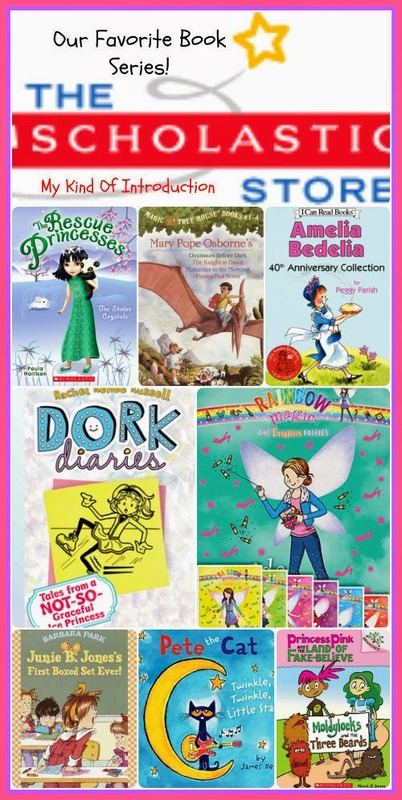 The Scholastic Store - Our Favorite Book Series: Magic Tree House, Rainbow Magic, Dork Diaries + MORE! View full discloser for details. Your child will be whisked away to past eras when two siblings discover a tree house filled with enchanted books that transport them through time. From Ancient Egypt to the Middle Ages, these best-selling Chapter Books follow Jack and Annie as they enter the universe of books and set off on incredible adventures. Have you met Junie B. Jones? In this four-volume collection of her earliest tales, the spirited kindergartener faces a smelly school bus, deals with a new brother, shoots her mouth off in school, and spies on her teacher. Your beginning reader will love Junie's hilarious mishaps brought to life in bold illustrations and easy text she can handle on her own. 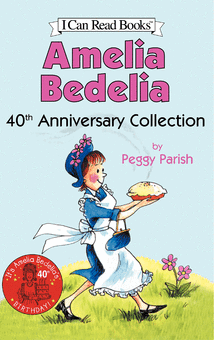 Everyone's favorite literal-minded housekeeper, Amelia Bedelia, celebrates her 40th anniversary in a three-book I Can Read boxed set. Meet Amelia Bedelia, the unflappable maid who does everything literally. With her purse on her arm and hat firmly on her head, Amelia Bedelia follows instructions to a tee: change the towels? Nothing a pair of scissors can't do! Dust the furniture? That's when the perfumed dusting powder really comes in handy. Dress the chicken for dinner - well, do you want a boy chicken or a girl chicken? Amelia Bedelia's well - meaning gaffs cause readers to chuckle, but her employer to fume - it's a good thing she's such a good cook! Just in time for the holidays, this magical boxed set includes four sparkly special editions! The holidays have lost their shimmer! There's trouble in Fairyland! Jack Frost is up to his old tricks. Now the fairies are missing their special holiday magic! Will the holly-jolly holidays be changed forever? Or can Rachel and Kirsty help Holly, Stella, Gabriella, and Paige save the day? A perfectly magical holiday gift for fairy fans! The story of Goldilocks gets a wild and wooly makeover! With simple text and engaging artwork throughout, this very funny book invites readers in to a fractured fairy-tale land. These aren't your average princesses... They're the ones who do the rescuing in this fabulous new series! Princess Emily loves being a princess, but wishes royal life could be more exciting. Little does she know that her wish is about to come true. Princesses to the rescue! Another animal is in trouble, and the Rescue Princesses must save the day. The Rescue Princesses trek through the beautiful snow of Northernland to meet Princess Freya and her kitten. Check out Pete the Cat in his cool school shoes - complete with a link to an all-new song, "Rocking in My School Shoes"! With its bright, colorful illustrations and silly story, this award-winning sing-along subtraction book follows the super-cool cat as he stays upbeat despite losing a button or two. In this groovy version of the classic children's song, Pete visits a farm and learns the sounds of all the different animals. There's a new guy in town, and Pete can't wait to meet him. After all, more friends mean more fun. But who can he be? The sun is setting—and this cool cat is singing his own version of the classic song! Pete the Cat shares his groovy, glass-half-full outlook on life in this collection of all his favorite inspirational quotes. Pete adds his fun take on well-known classics, from Albert Einstein to Confucius to Abraham Lincoln to Shakespeare and more! The boxed set will include the first three books of the bestelling Dork Diaries series, which chronicles the oh-so-fabulous life of Nikki Maxwell as she navigates the halls of middle school, mean girls, BFF drama and first crushes. Nikki's reputation is on thin ice in this laugh-out-loud illustrated adventure about her hilarious humiliations on the rink—and off! Does your child have a favorite book series?